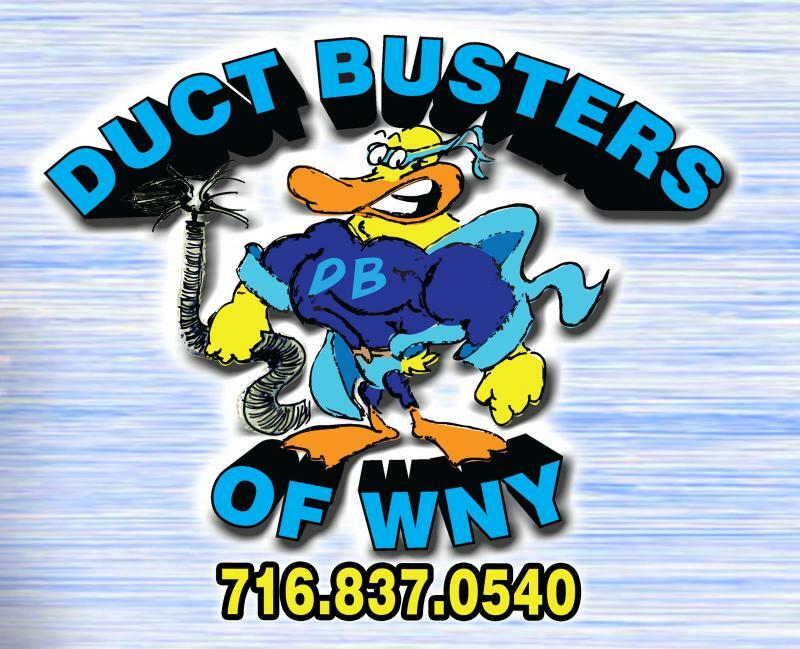 Duct Busters of WNY - Making Breathing Easier One Air Duct at a Time﻿ OPEN: 8:30 AM - 5:00 PM M-F Saturdays 9:00AM - 2:30PM 716-837-0540 2512 William StreetCheektowaga, N.Y.
It’s also important to realize that many companies limit ventilation system cleaning to the air ducts. Not Duct Busters of WNY. We clean your entire ventilation system, from the individual air ducts and vent covers including the main trunk lines. (when applicable) We also remove the vent covers, vacuum them, and then put them back in place to finish the job right. According to the National Air Duct Cleaner’s Association (NADCA), a typical six-room home creates over 40 pounds of dust annually through everyday living. In addition, the typical family generates a great deal of contaminants and air pollutants such as dander, dirt and chemicals. These contaminants are pulled into the HVAC system and re-circulated 50 to 70 times per day on average. Over time, this re-circulation can cause a build-up of contaminants in the air duct work. It was designed for one purpose: air duct cleaning. It is the only method that power-brushes and vacuums at the same time. Its is also the only method that goes into each and every vent register in your home and cleans and scrubs each and every duct. The Ductmaster can be snaked through the air duct all the way to the plenum. The Ductmaster can clean homes that dont have main lines unlike negative air systems. It has a rotating brush to be sure and get all the dust and dirt out of each vent. The Ductmaster brush-vacuums every contacting surface, including wrinkles and crevices of flex-duct found in most systems. When the operator manipulates the rotating brush back and forth all the way to the plenum, all the dirtit is being extracted. The Ductmaster breaks loose dust and residue much like you would do by hand. This technique requires a thorough power brushing and vacuuming.This is by far the most effective way to properly clean your air ducts. During the brushing stage, the physical contact with the ductwork is maximized, knocking off more debris than with other techniques while the suction of air washing cleans the residual dust and small particles. This sends high-pressure air from compressor down a hose and through an air nozzle. The nozzle directs streams of condensed air, blasting dirt and debris off the vents and ducts.From there the air movement sends the debris to a vacuum collection system, which picks up the debris for removal. Copyright 2016 Duct Busters of WNY. All rights reserved.